During the design meeting, our couple expressed the desire to have turquoise, which was the groom’s favorite color, and aubergine, which was the bride’s favorite color. 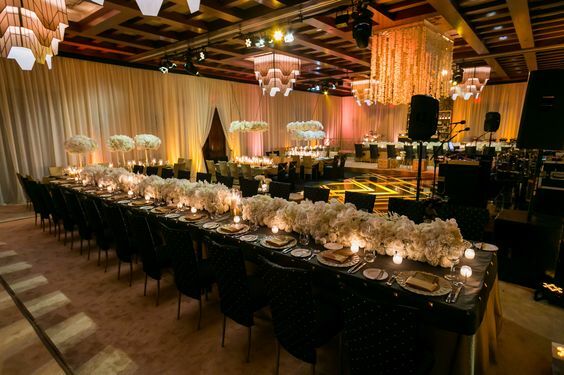 The room was draped in eggplant with silver valances and featured a silver dance floor and chairs. We decided to do the flowers in jewel tones—therefore, deep purples, merlots and burgundy colors were used for centerpieces. 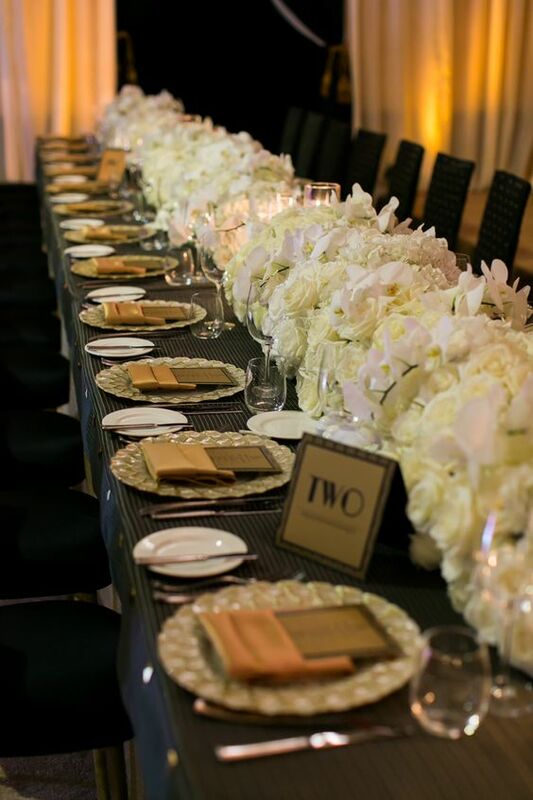 All the square tables and the head table were dressed in Camilla Teal from Wildflower Linen. The cake table had solid teal. The stage was designed with mirrored and tufted panels and had a regal charm about them. The lighting was done in very soft pink and the ambiance was magical. The ballroom doors were opened amidst all the “Oooohs??? and “Aaaahs.??? Ribbon dancers and LED dancers performed elegant dance movements on the dance floor as the guests took their seats. The Grand Entrance featured dhol players and all eyes were on the couple as they went to the dance floor for their first dance as husband and wife. Bhangra dancers were hired to open the dance floor and the energy in the room was electrifying. Needless to say, our couple was over the moon with the entire event and we have not stopped receiving touching and lovely thank you notes to this day. We are excitedly looking forward to doing something beautiful for the last daughter and when the time comes we will be ready. Have an Exquisite day and we will see you next Wednesday! We are very fortunate to have the clients’ trust to do repeat business with them. This particular client has four children and this was the third child’s wedding that we designed and planned. He is an absolute dream client and wanted to pull no stops for the celebration. The fact that he trusts us implicitly also made it an extremely joyful planning process. We had a total of four months to plan their high-scale wedding with seven hundred expected guests. There was one design meeting with the couple to understand their vision and style and a few subsequent meetings for the walk-through and vendor walk-through at the hotel. Since the groom was from Seattle, they arrived a few days before the wedding and had their own celebrations and events. We were fortunate to get both the ceremony and ballroom spaces the day before the event to do our install and set up. That was a huge help as this event had a lot of moving parts. By Friday night, our ceremony tent was all done with the exception of flowers and some minor tweaking and details. We woke up on January 24th to gusty winds that created a havoc in the tent. The winds were so strong that chandeliers were moving violently and at times the tent ceiling was coming down. Our initial design entailed bringing the outdoors to the indoors. The tent was going to be an open tent, but with the situation at hand, we decided to enclose the tent to provide comfort to the guests. The winds also posed a safety challenge with the rented helicopter that was to drop tons of rose petals at the start of our groom’s procession. With us (Nikki and Madiha), safety comes first, so we were in close contact with the company. We decided to wait until half an hour before to make that call. 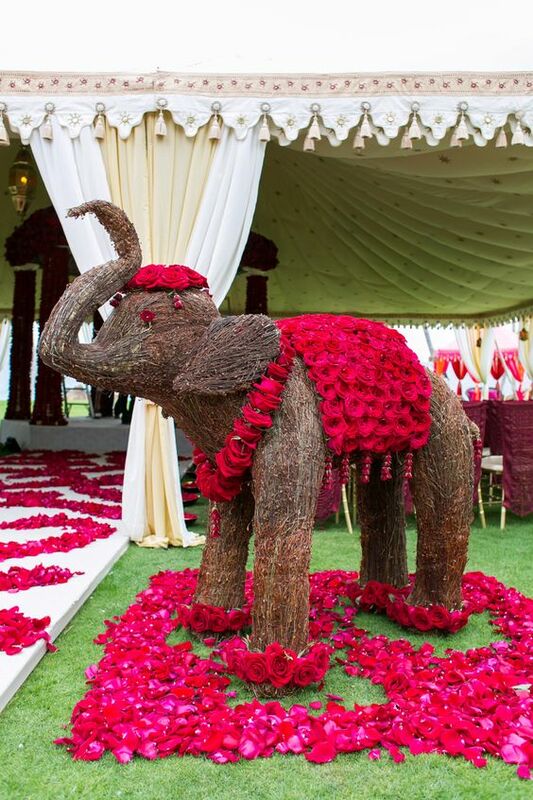 As luck would have it, the winds died down considerably to have a smooth baraat, petal drop, snacks on the waterfall lawn and then the transition to the ceremony, which went off without a hitch. The bride had a send-off in a doli which took the couple in the horse carriage to the front of the hotel for them to get ready for their grand reception. Have an Exquisite day and we will see you next Wednesday for Part Two of Reema and Kunal's beautiful wedding--their reception! For this week's blog, we thought we would celebrate Valentine's Day by sharing my wedding from October 2003. It's hard to believe it has been over 11 years since we got married but I will say that I was the most lucky and relaxed bride because my mom planned the entire thing! The mehndi was held at a country club in LA and to me, the most fun part about this was that I had family fly in from everywhere so the days leading up to the wedding we spent making flower garlands and prepping for the event. It was so fun and festive and was even more special because so many close friends and family were there leading up to it. So much fun seeing everyone have a great time! Luckily we had a day in between to recover before the wedding. 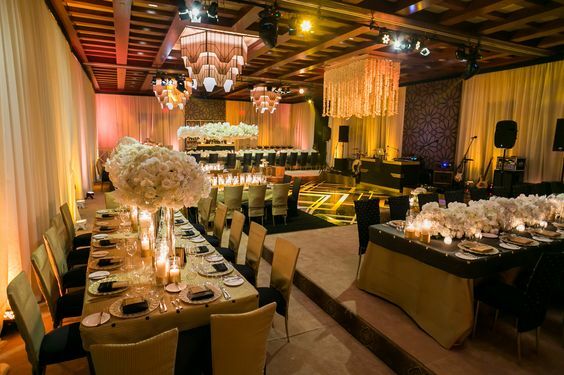 The wedding was held at the historical Roosevelt Hotel in Hollywood. We had seen about 15 venues before we came to this venue and as soon as I saw it I was in love. There is so much history there and the fact that the 1st Academy Awards were held there in 1929 made it even cooler. I also loved that there were portraits of Frank Sinatra and Audrey Hepburn in the ballroom-very old Hollywood. We were lucky enough to get access to the rooftop to get some really cool shots of the Hollywood sign in the background. It's amazing how much things in the wedding industry have changed so much over the last 11 years, but I still look back at my wedding and love everything about it. Have an Exquisite day and we will see you next Wednesday! 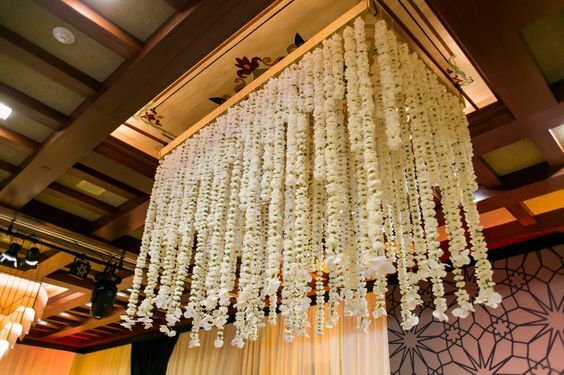 This week, we are going to cover all things decor from ceremony trends to reception trends. Weddings are meant to be fun, unique, engaging, and full of love and personality. 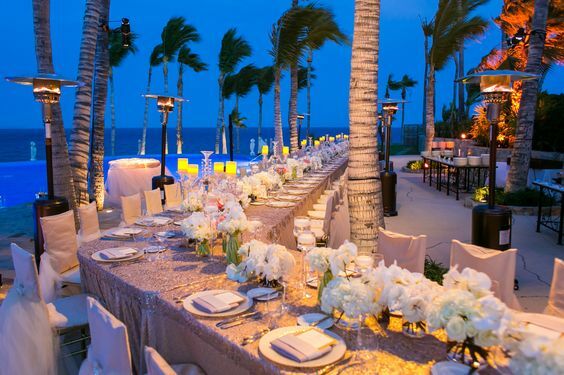 Exquisite Events has been able to create some amazing and interesting decor trends that have left quite an impression. Let's take a look at some fun trends that we think will be seen more frequently this year and in the years to come! We love the idea of a suspended cake. It is a beautiful attention-grabber and a fun way to display 360-degree views of all the tiers. 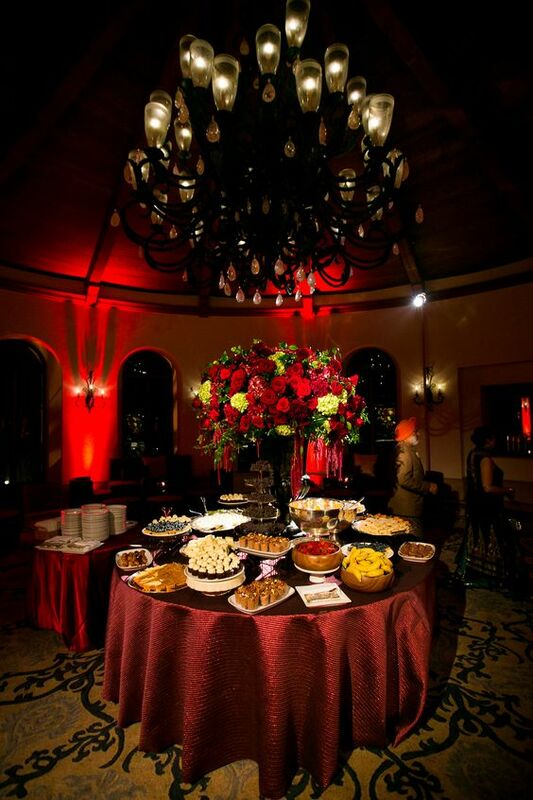 Open canopies create a dynamic and romantic ambiance, especially for twilight weddings. The mixture of an indoor-outdoor feel makes for an intimate setting and a beautiful space. Monogrammed dance floors add a meaningful and personal touch to a wedding reception. An added bonus is that they can be used to cover up patterned carpet in the room. 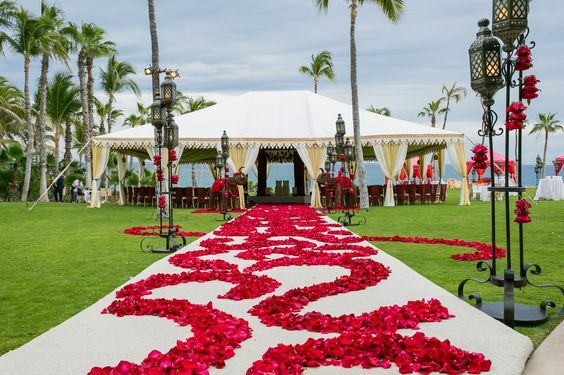 Styled rose petal arrangement is an elegant and fun added effect to the aisle way. 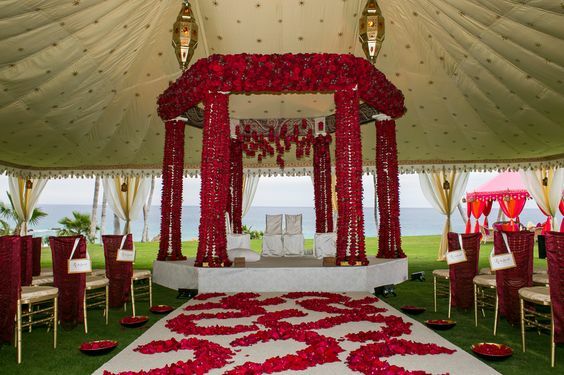 It creates a dramatic and beautiful element to the ceremony decor. A mixture of colors create a beautiful effect. We are excited to see more of these unique trends in the coming years! Have an Exquisite week and we will see you next Wednesday!